As the nation's largest group purchasing organization, we continue to experience tremendous expansion in our membership and community of suppliers. With this growth, OMNIA Partners is always looking for exceptionally motivated and talented people to become part of our team. OMNIA Partners was founded and built on a culture of accountability and excellence. We are continually striving to elevate the value we provide and are passionate about making a difference for our members and suppliers. Integrity and teamwork are at the heart of what we do and it comes through in our transparent and collaborative approach to achieving success. We provide our employees with opportunities to learn, grow and be recognized and rewarded for their achievements. OMNIA Partners is an equal opportunity employer. We welcome and encourage diversity in the workplace. Please forward your resume to HR@omniapartners.com. 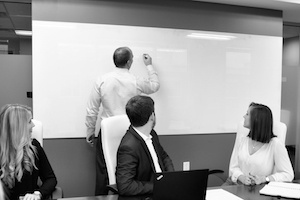 Interested in learning more about a career at OMNIA Partners? Check out our LinkedIn page. Gain access to the most valued and trusted resource in procurement.